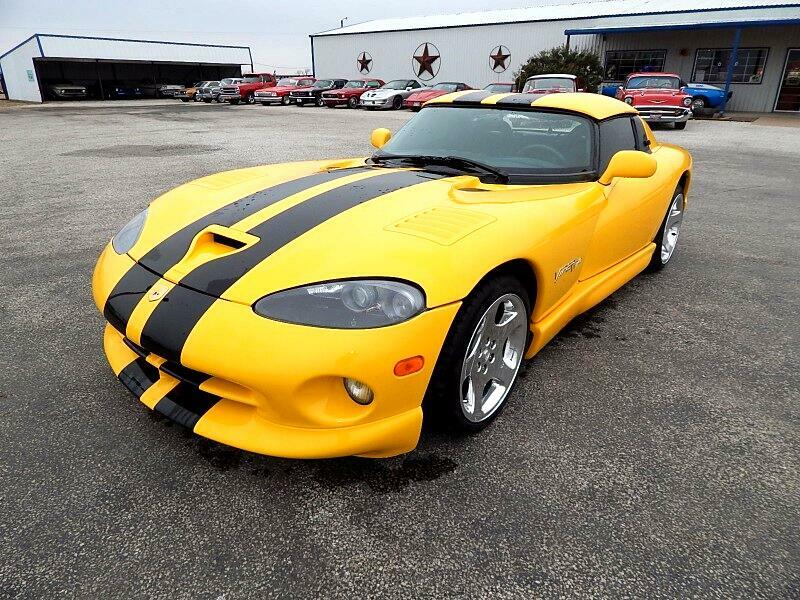 Lone Star Muscle Cars is proud to present this one nice 2001 Dodge Viper. Only 874 RT/10 Vipers were built for the 2001 production cycle and out of the RT,s only 336 Were in the yellow Color and black leather interior was the only option. The V-10 Motor Produces 450 HP and 490 Torque all this through a 6 speed transmission. Over the last couple of years Vipers have become a good investment with values consistently going up around 8% per year and with production uncertain at this time they will continue to rise. Here is your chance to own a piece of automotive history. Some of the options include Power windows,Power Steering,Air Conditioning, New Tires, Alpine Sound System and more. Message: Thought you might be interested in this 2001 Dodge Viper.